258 pages | 3 B/W Illus. 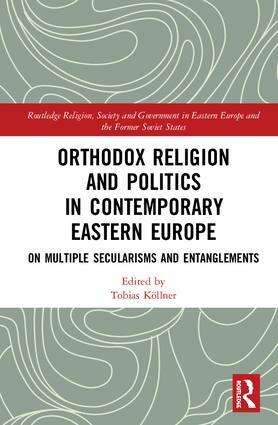 This book explores the relationship between Orthodox religion and politics in Eastern Europe, Russia and Georgia. It demonstrates how as these societies undergo substantial transformation Orthodox religion can be both a limiting and an enabling factor, how the relationship between religion and politics is complex, and how the spheres of religion and politics complement, reinforce, influence, and sometimes contradict each other. Considering a range of thematic issues, with examples from a wide range of countries with significant Orthodox religious groups, and setting the present situation in its full historical context the book provides a rich picture of a subject which has been too often oversimplified.